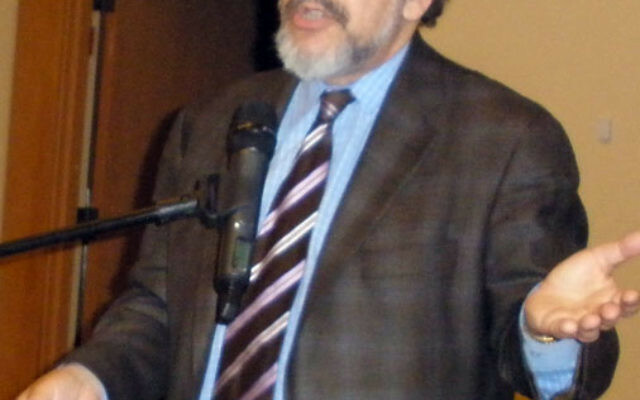 Although preserving the environment is a Jewish value, too many are falling down on the job, said Rabbi Lawrence Troster. 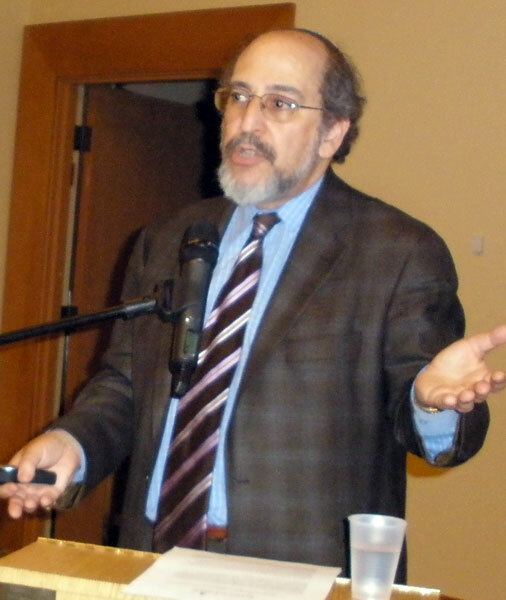 Troster spoke April 4 at Highland Park Conservative Temple-Congregation Anshe Emeth. One of the nation’s leading eco-theologians, he showed photos of incinerators in Newark and Camden that spill pollutants into surrounding rivers and air and gave other examples of damage being done to the Earth. He spoke of his own trip to the South Pacific Island of Tuvalu, which is being swallowed by the surrounding sea and whose aquifers are already tainted by salt water as global warming has made the glaciers and polar caps melt. “Not only is it harming you, but it harms others as well,” said Troster as he showed photos of animals that have become extinct or are nearing extinction. He noted that kindness to animals was a mitzva and guiding principle in Judaism. Much of the problem, he said, can be tied to overconsumption, with 20 percent of the world’s population using 80 percent of its resources. He said he came to his role as an eco-theologian based on his concern about the kind of world he would be leaving to his twin daughters, and now his three small granddaughters. “I want their lives to be as good as mine,” he said. He reminded the audience that the world belongs to God and nothing should be considered superfluous.